Your last chance to see a Zoom session is today, Thursday, 2:30-3:30 pm, in room N262. In this session, Zoom’s Head of Product Management Oded Gal will sit down with Mark Cross, Director of Enterprise Wireless Mobility for Caesars Entertainment. They’ll discuss Caesar’s journey to find an effective video solution for their enterprise, including the platforms they tested, the evaluation process, and their successful deployment of Zoom. This session is open to all attendees, no registration required! Add the session here, or just show up at the time and place listed above. 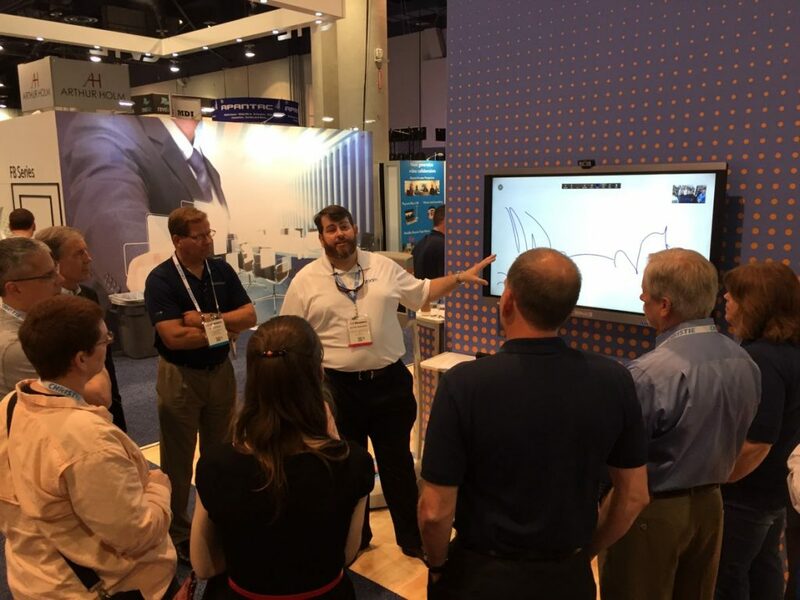 Come by booth #2627 in the north hall, where Zoom is showcasing not one, but three Zoom Rooms: on a DisplayTen Touchscreen, on three screens, and running on an Intel NUC! You can also swing by our partners’ booths to see their solutions that work with Zoom! Intel N2915 – conference room hardware – ask them about our new plug-in for Intel Unite! Also, be sure to wave hello if you see our robot wandering around! There should be a friendly face on there – such as the lovely Alicia (right) – patching in over Zoom. If you can’t make InfoComm this year, don’t worry! Our product specialists would be happy to provide you with a live one-on-one demo anytime while you stay in the comfort of your home or office. Sign up today!